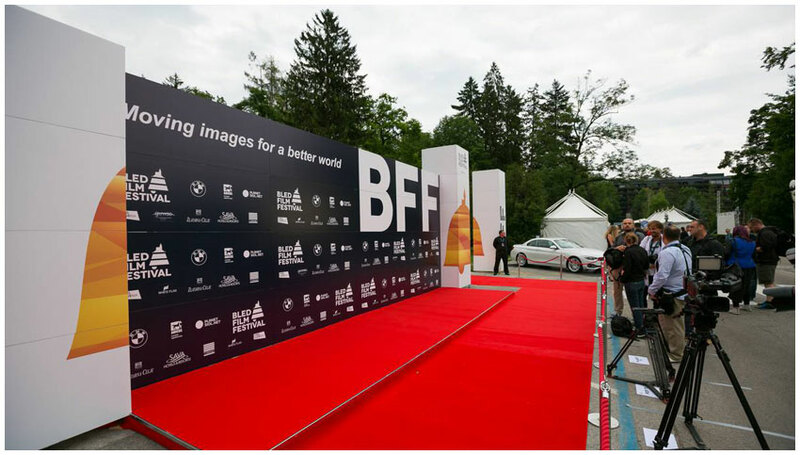 The start of the Bled Film Festival today is the beginning of a series of festivals and events that takes us from mid-June to close to the end of August with barely a break. One night last summer I left two or three performances in the middle of Bled and during the 25 minute walk home passed five of six other music events along the way. There is nothing quite like the party atmosphere on a hot summer night. But it is a positive, safe sharing party atmosphere without confrontation, rancour, or any other sort of unwelcome behaviour. People even tidy up after themselves and fill the waste bins. Early the next morning walking back into Bled, the place was tidy, and clean and – for want of a better word – Slovenian. As the Lake is important to the town, water is important to the Bled Film Festival. The importance and celebration of water is a central motif. Water themed films are included in the programme, a discussion at the IEDC-Bled School of Management and support for a programme of cleaning five lakes in Slovenia, Lake Bled one of them. So it is with a touch of irony that the day here has started cloudy, overcast and a chance of meatballs, possibly? TheFilm Festival runs until the 20 June, then from 2 July for 2 weeks is Festival Bled the 20th year of this important event which brings together young people and master musicians. For the first time jazz, rock, pop and folk/ethno music are included in the master classes. A personal highlight of the year is Bled Days and Bled Nights which dove-tails with Festival Bled. There are no details of the event just yet except for the start and end dates – 17 to 18 July. The one day accordion festival on the 19th July is another highlight — seriously! Watch my video if you can. Swinging Bled is a 3 day celebration of dance and music of the 1930s to 1950s and then the Okarina Festival 30 July to 9 August.